Like most car guys, I have a wildly overestimated faith in my car-identification abilities, especially at night. Ever since I was a kid, bouncing around in the luggage well of my dad's '68 Beetle or the family's vast '73 County Squire, I loved trying to identify cars by just their headlight/running light patterns at night. I suspect this is something most of us still do. Since my wife and most of my friends either actively don't care or desperately wish I'd shut up, there's no good place to show off my assumed-to-be-mad night car-ID skills. So, to remedy this, I made this quiz. Plus, I liked the way the images looked, graphically. 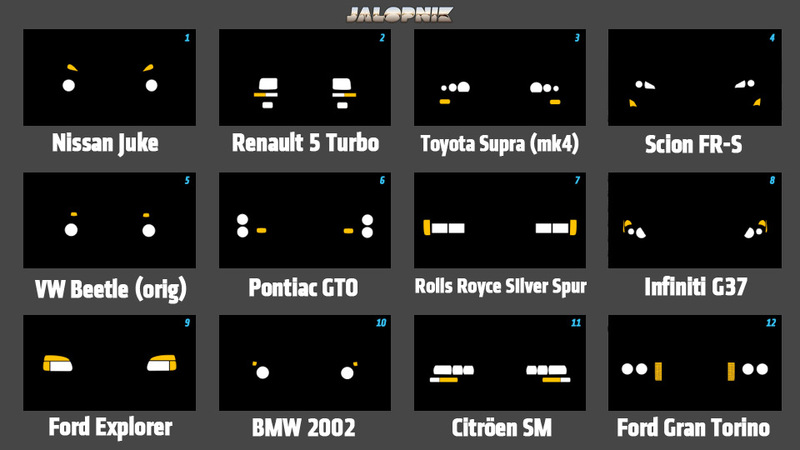 So here we go: 12 simple images, showing the headlight/parking/fog light patterns of randomly selected cars, from roughly the '60s to present day. 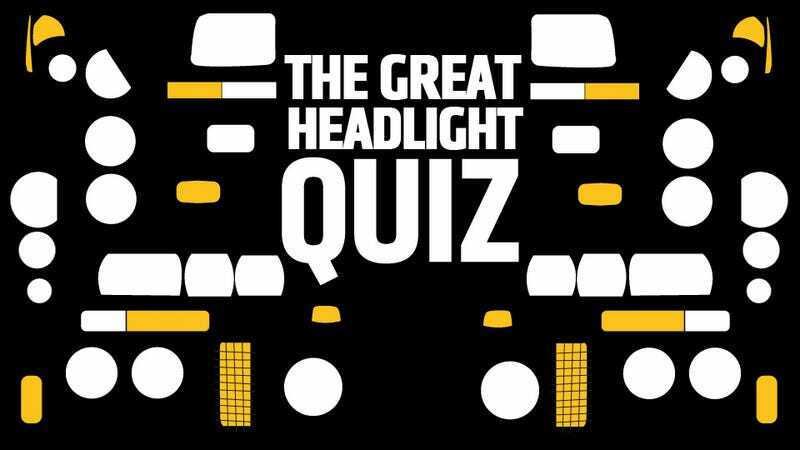 The lights are stock lights only, and all possible lights are illuminated— as in high beams on, and both front indicators lit, even if they wouldn't normally be for cars that don't use them as parking lights. You get the idea. Some are likely easy, some more tricky. I do like how one set looks like the angry version of another one in the list. Answers will be posted in the discussion at 10 PM EST today— check it out and see how you did, and put your guesses in the discussion! CLICK HERE FOR THE ANSWERS! A great number of you did really well on this. Way to go, Jalops! Now test your friends, so you can brag.